Seems like yesterday that Halloween was over… now after catching a breath I am pouring myself into the new phase of the holidays. Thanksgiving and Xmas! This is a fun time, but the busiest ever. Between decorating the home, entertaining family specially if you will be hosting and xmas shopping feels like time just slips out of our hands. 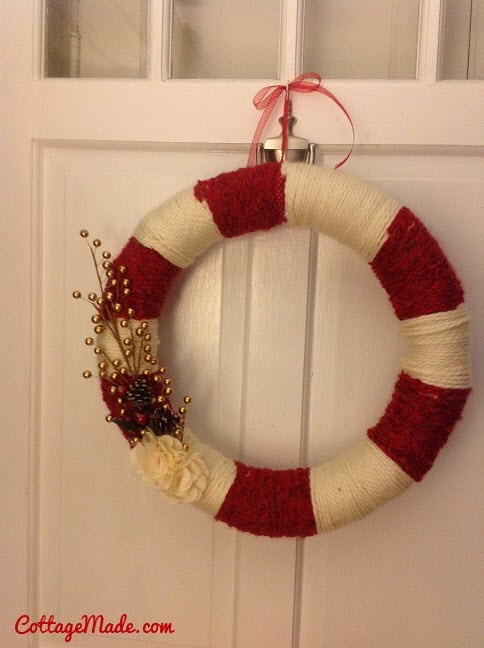 One of the easiest DIY projects for the holidays are wreaths. I love making them because it usually doesn’t take too long and is one of the things you can re-use, re-invent and gift over the years. The wreath below I made it last year prior blogging times. 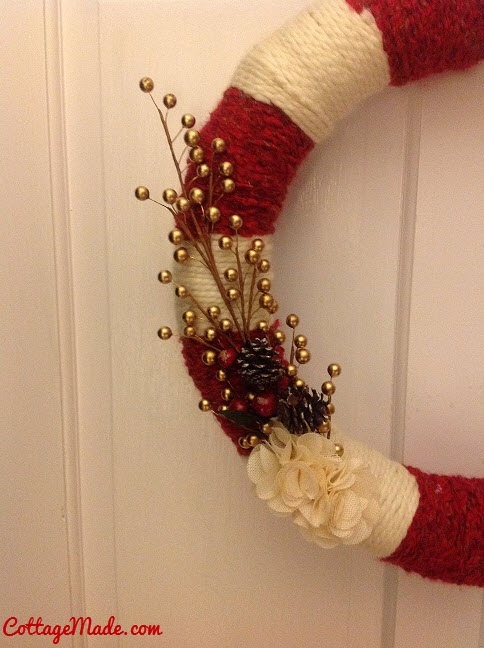 Basically what you need is a foam wreath or any other kind. And start wrapping it with yarn. Do you have some left over yarn? Perfect! The decoration was from left over xmas decorations from previous year. I only bought a new felt flower and hot glued on it. Pronto!